So you may or may not have read my feature on the addictive nature of Marvel Puzzle Quest. While I have possibly conquered those demons I’ve run into a whole new set of problems. This time my addiction comes in the form of Animal Crossing: New Leaf on the Nintendo 3DS. A little under a month ago I got a 3DS for my birthday. My original desire for the system stemmed from a game I saw on a Nintendo Direct, Rusty’s Real Deal Baseball (I’ll provide a video to that at the end). After seeing the details of this game I couldn’t hold my desire in check any longer, I needed this system. However, the game wouldn’t come out until a month later. How would I spend my time until then? Well luckily for me Nintendo had a deal for new 3DS owners. With the purchase of a new 3DS and a qualifying game I could get Pokemon X for free. One of these games was Animal Crossing: New Leaf. I had played this game previously on the Gamecube but never since. This time it would be all mine. 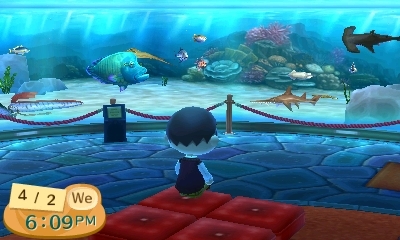 I downloaded it off the eShop and I got my Pokemon X but soon I found myself playing Animal Crossing more than Pokemon. In fact since March 5th I’ve spent 42 hours in Budapest (the name of my town) with an average playtime of 55 minutes each. How do I know this? Well the 3DS has a built in activity log to tell you how much of your life you’ve wasted. However, I’ve enjoyed every second I’ve wasted. The 3DS is an amazing system with a built in pedometer (to count your steps and play Mii Plaza games) among other things. 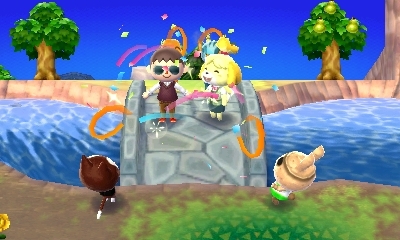 But in terms of what I’ve done in Animal Crossing I’ve participated in may delightful activities. I’ve already had my birthday festivities and a special April fool’s day event. St. Patrick’s day was cool too. There’s just so much to do crammed inside this little game, it’s grabbed me and hasn’t let go. I’ve caught many fish, you collect them to put in your museum plus there was a fishing competition. 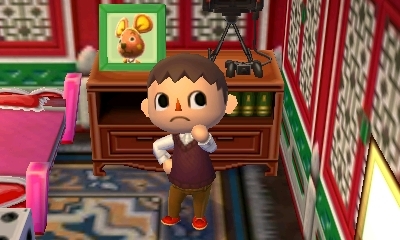 Every day I go hunting for fossils, collect bugs and sell stuff for bells all while keeping myself and my home looking spiffy.